Brussels sprouts (Brassica oleracea var. gemmifera) have gotten a bad rap. These nutritious, flavor packed cole crops have been vilified in children’s books and TV. But these miniature cabbage looking vegetables are extremely tasty if eaten freshly picked. And the best way to get them freshest is by growing Brussels sprouts in your garden. How Do You Grow Brussels Sprouts? The basic way how to grow Brussels sprouts is much like how you would grow cabbage or kale. Brussels sprouts are a cole crop and like many vegetables in that group, they grow better in cool temperatures. Because Brussels sprouts take so long to mature, your best bet is to plant them in midsummer summer so that they reach full maturity in the cool fall months. 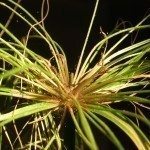 Plan to put them in your garden about 3 months before the first frost for your area. You are also better off growing Brussels sprouts from transplants rather than from seeds planted straight into the garden. This will allow the seedlings to develop in a cooler shaded environment and they will have a better chance of surviving the warmer weather outside. Plant your Brussels sprouts about 36 inches apart in nitrogen rich soil. Growing Brussels sprouts need plenty of nutrients and water. 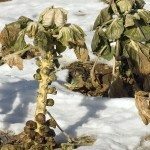 Never let your Brussels sprout bed become too dry as this will stress the plants and result in a poor harvest. Water is vital to a good crop. 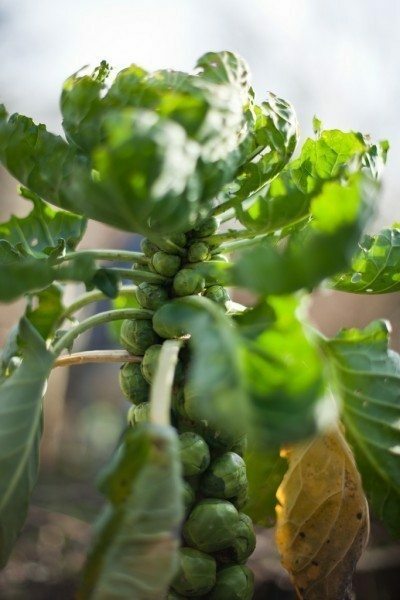 Once your Brussels sprout plant has matured, it will look like a tall green tower with knobs and leaves. The knobs will be the Brussels sprouts you eat. Once the knobs have reached about 1 – 1 1/2″ wide and are firm when you squeeze them, they are ready to harvest. When harvesting Brussels sprouts, work from the bottom of the plant up. The bottom sprouts will be ready first. Use a sharp knife and cut the ready Brussels sprouts off the vertical main stem. We hope that this has help you learn more about how to grow Brussels sprouts. Growing Brussels sprouts in your garden is both rewarding and delicious.